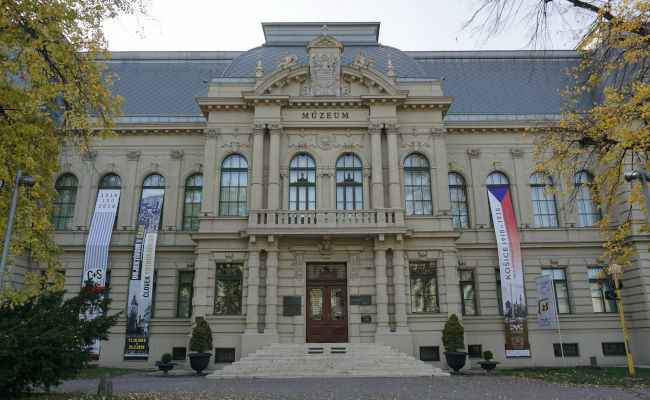 The objective of the conference is to offer the opportunity for the Slovak and Czech scientists and guests from other countries working in the field of basic and applied magnetism to present their recent results and to exchange ideas and technical information. The official conference language is English. The proceedings of the conference will be published in Acta Physica Polonica A. It is an open access peer-reviewed scientific journal, indexed in the Web of Science™ (Science Citation Index, Science Citation Index Expanded, Current Contents - Physical, Chemical & Earth Sciences) and Scopus®. ODT file for LibreOffice or OpenOffice. All abstracts must be prepared using provided template and submitted electronically. Abstracts sent via e-mail, fax, or regular mail will not be processed or acknowledged. Submit your abstract only once. Acknowledgment of your submission will be sent via email. If you do not receive an email confirmation within 48 hours, your abstract has not been submitted. In that case, please write us an e-mail. Provide an accurate email address for the corresponding author and provide all other information requested on the electronic form. This email address will be used for all communications. Each submitted abstract will be reviewed by the Programme Committee. Acceptance of abstract will be based on appropriateness of the topic, quality, novelty and clarity of presentation. Notification of acceptance as oral presentation or poster will be provided to corresponding authors on 29 March 2019. Authors will be invited to prepare a final proceedings paper. The proceedings of the conference will be published in Acta Physica Polonica A. It is an open access peer-reviewed scientific journal, indexed in the Web of Science™ and Scopus®. All published papers will be open access at no additional cost to the authors. The presenting author must be a paid registrant at the Conference. The presenting authors can present more than one conference contribution, but each registrant can submit only one proceedings paper for regular review procedure. If you have any questions, please write us an e-mail. Abstract submission is now closed. Thank you for your contributions. * For PhD and master/bachelor students. In order to benefit from the reduced fee, please send the copy of your proof via e-mail to the Conference Secretariat. Please note that fee for accompanying person does not include access to the oral and poster sessions. Attendees are required to wear name badges to enter all conference events. All payments must be made in EUR (Euro). Payment should be made by bank transfer. The participants/payers are responsible for any bank charges associated with the payment. Please refer your family name and CSMAG19 as a note of the payment (information for beneficiary). If cancellation of the conference participation is made before 27 May 2019, the organizing committee will refund 90 percent of the registration payment. The cancellations made after 27 May 2019 will not be refunded. The oral presentations can be delivered by using conference computer or by the presenters' own laptop. There will be a toggle-connector system (both VGA and HDMI) to connect to the LCD projector. The invited talk should be 25 + 5 minutes (25 min. for talk and 5 min. for questions). The contributed talk should be 13 + 2 minutes (13 min. for talk and 2 min. for questions). The conference computer is equipped with MS Windows 10, MS PowerPoint 2016 and Adobe Acrobat Reader. Slide presentations should be formatted for 16:9 aspect ratio as well 4:3 but in this case the full screen will not be used. Speakers should come to the lecture hall at least 10 minutes before the session start to meet the chair and upload presentation or connect own laptop. Speakers are responsible for bringing their own adaptor to the VGA or HDMI ports if their laptops require them. Posters should be formatted in PORTRAIT/VERTICAL format and prepared in English. The surface area allocated to each poster will be approx. 100 cm (39 inches) wide by 120 cm (47 inches) high. The Conference provides a small sign designating the code of the poster contribution to be posted on each board and push pins for displaying the poster on the board. Please place posters on the poster board with number that matches your allocated number in the conference program. Posting only a copy of manuscript is NOT appropriate and will be treated as a "No Show". The presenting author must be available to provide details and explanations during the designated poster session. If any of the following applies, then the contribution will be recorded as a "No Show" and respective manuscript will not be reviewed. Contributions that are listed in the program but NOT presented. Contributions that are presented by an unregistered author or a representative. The Proceedings of the CSMAG’19 Conference will be published as a regular issue of Acta Physica Polonica A. All submitted manuscripts have to be closely related to the problems of magnetism and/or magnetic materials. The manuscripts have to be written in correct English, they should be free from grammatical, conceptual and technical errors. The submission of the paper implies that it represents original work, which has not been published or is not being considered for publication elsewhere. The subject of submitting e-mail has to contain the reference number (e.g. O1-05, P2-30) given in the abstract acceptation letter. The submission has to involve all manuscript/source files, including separate figures, the final article file in the PDF format and the cover letter. The name of all submitted files has to include a given reference number as well. The manuscripts not prepared within the instructions given in the CSMAG'19 Manuscript template will be excluded from the further referee process. Post deadline papers will not be considered for referee process. DOCX file for MS Word 2007 and later. DOC file for earlier versions of MS Word. ZIP or TAR.GZ archive with template files for LaTeX. All submitted contributions will be subjected to a referee process. Publication Committee reserves the right to accept or to reject contributions. Please note that each registered delegate may submit only one paper for publication in the CSMAG’19 Conference Proceedings. If you have any questions regarding the manuscripts, please write us an e-mail. Municipal transportation system is composed of buses and trams and is managed by Dopravný podnik mesta Košice . You can purchase paper tickets up to 4 stops*, 30 and 60 minutes, 60 minutes for night lines, 24-hours, 7-days and 60 minutes for luggage or pets at DPMK Ticket sales points, from ticket vending machines and from other retailers (marked with a label bearing the DPMK logo). 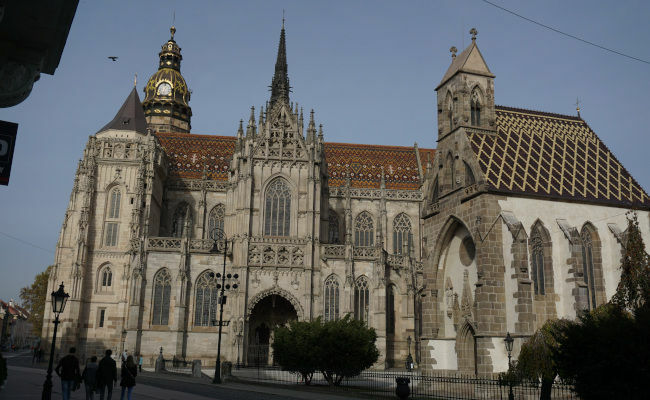 Košice is the largest city in eastern Slovakia. 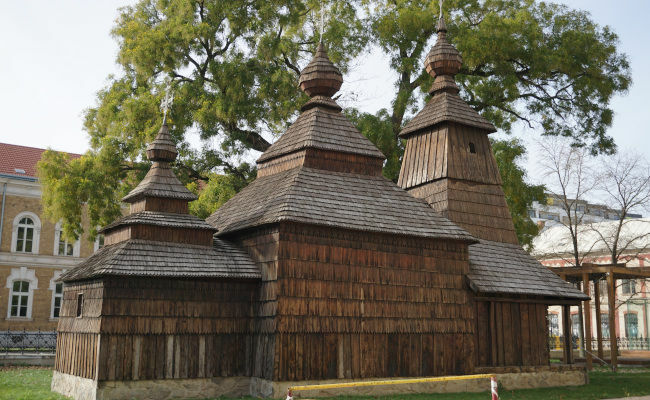 It is situated on the river Hornád at the eastern reaches of the Slovak Ore Mountains, close to the border with Hungary. With a population of nearly 240,000, it is the second largest city in Slovakia. 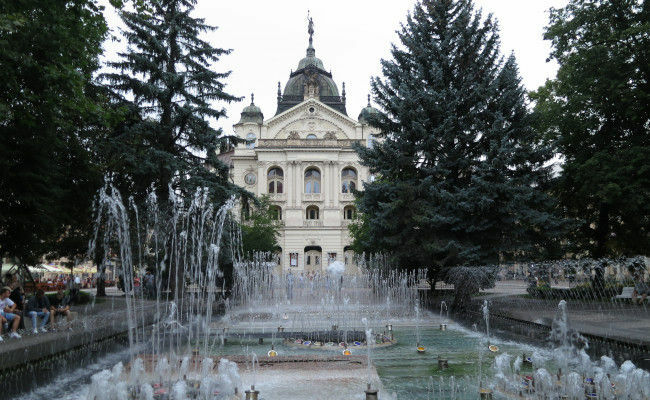 The town has a well-preserved historical centre with many heritage-protected buildings in Gothic, Renaissance and Baroque styles with Slovakia's largest church, the St. Elisabeth's Cathedral. The long main street is a pedestrian zone with many cafés and restaurants. Košice International Airport is located south of the city. Regular direct flights provided by Austrian Airlines, Czech Airlines, LOT Polish Airlines, Ryanair, Turkish Airlines and Wizz Air are available from Istanbul, London, Vienna, Prague and Warsaw. Taxis leave from outside of the terminal. CTC Taxi is the official partner of the airport for taxi services. The price for travel from the airport to the centre is around 10 EUR. Services provided by Taxify are available in Košice as well. Košice railway station is a rail hub of eastern Slovakia. The city is connected by rail to Bratislava, Prešov, Čierna nad Tisou, Humenné, Zvolen, Prague and Ostrava (Czech republic), Budapest and Miskolc (Hungary). The railway station is located near the city centre, about 10 minutes' walk. 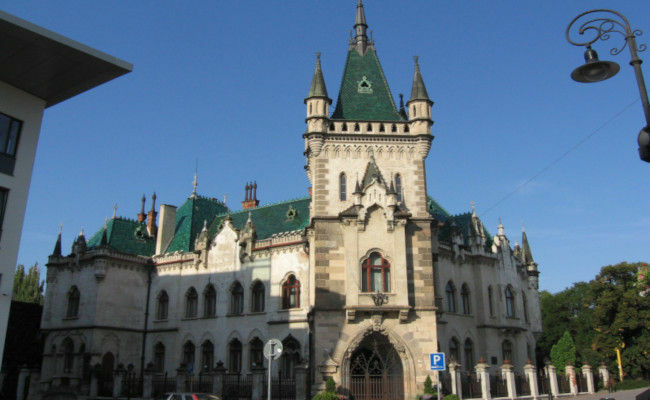 Kosice, Bus terminal is located next to the Košice railway station. There are intercity connections to cities in Slovakia (Bratislava, Banská Bystrica, Poprad...) and international bus connections to Czech republic (Prague, Brno, Ostrava...), Germany (Berlin, Munich, Düsseldorf...), Poland (Warsaw, Krakow, Katowice...) and 10 more European coutries. Slovakia is a member of the European Union. Visitors who are EU residents or have EU visas can travel freely. We use the Euro currency. We use the Type E power sockets and plugs (French origin). This socket also works with plug C and with hybrid plug CEE 7/7 (plug F with additional pinhole). The standard voltage is 230 V and frequency is 50 Hz. The organizing committee of CSMAG'19 conference does not have contract with any travel/accommodation agency or hotel. Participants are kindly requested to find accommodation by themselves, e.g. using known online services like Booking, Expedia, Hotels, Tripadvisor, Trivago, and others. There are many accommodation options at different price levels, like hotels, pensions or hostels. 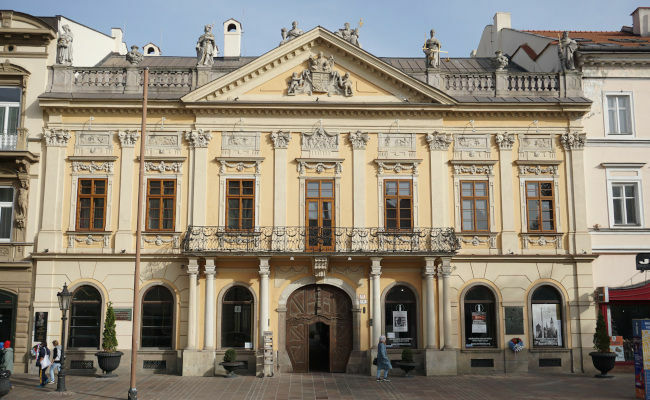 You can find more detailed information (address, phone number, e-mail address, web site) at https://www.visitkosice.org. If you have any questions regarding the conference, please write us an e-mail.